Thinking ‘big’ can lead to achievement but also trigger fears. Personal development leaders often counsel us to “think big” about our career dreams and life ambitions, and there are many notable lives of accomplishment we can look to for inspiration. But dreaming big can also trigger our fears. In his article What will be your Life Monument?, Mike Litman includes Napoleon Hill, J.K. Rowling and Benjamin Franklin as examples of people who have “built something that will SERVE OTHERS (inspire, entertain) for decades, centuries. “Their life has been one of SERVICE and with service comes riches and fulfillment. “Napoleon Hill [author of Think and Grow Rich] passed away almost 27 years ago and he’s changing my life right now,” Litman adds. Ben Franklin, he notes, “was a leading author, politician, printer, scientist, philosopher, publisher, inventor, civic activist, and diplomat. The immediate, what we think and do today is the ground from which we grow our lives, not just our grand dreams. The image above (by Aliza Dzik) is from the book The Interior Castle by St. Teresa of Avila. 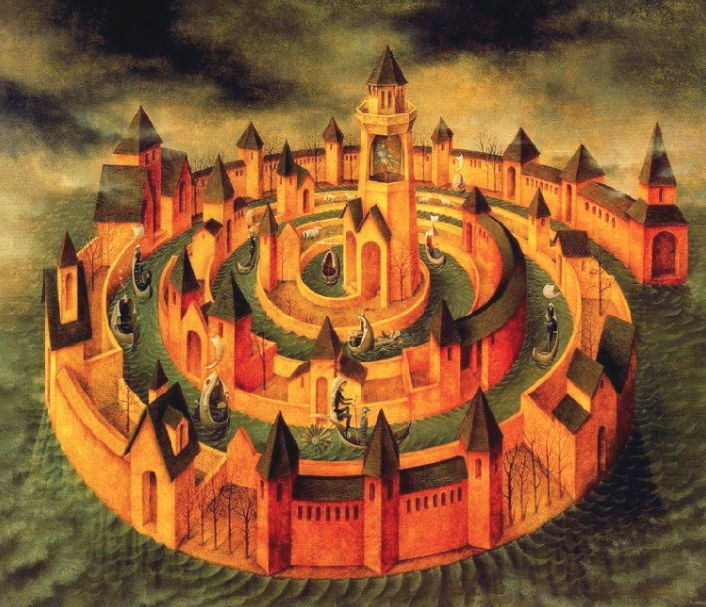 The castle is in the shape of a spiral – significant as an image of personal growth and change, and of taking on the evolution of our selves and lives as a process. Our life is not a “monument” we design and build in a short or finite time. “Maybe ‘thinking big’ has worked for others, but not me. For years I thought big, big monthly, yearly goals and it was like crawling on hot coals. My progress was sloooww. “And then I got SO FED UP with ‘thinking big’ and ‘big goals’, I knew I had to do something else. So I did the opposite. I made my goals small. Tiny. “I was furious. I either had to make my business work or go work more hours at a job. So instead of my goal being $10,000 this month. My goal was $300. “Then I accomplished it. The goal went to $700. Then $1,500.. $4,100. Call this controversial, but for beginner entrepreneurs I believe in the ‘magic of thinking small’. This is an issue that psychologist Robert Maurer, PhD talks about in his article ‘Thinking big’ could be making you FAIL! He writes, “When client after client came back to me frustrated, dejected, and overwhelmed with guilt because they hadn’t been able to stick to their plan — and had consequently “failed” to achieve what they had set out to do — I began to question the standard approaches to personal change … and to look for a different way. He goes on to explain that large changes we face – even positive ones – are likely to trigger the fight-or-flight response in the brain; just the thought of change ignites fear. See his book: One Small Step Can Change Your Life. 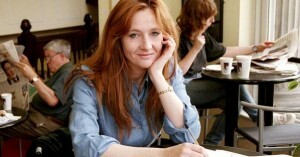 J.K. Rowling worked for years to create her first Harry Potter novel, often working at pubs and cafes during her lunch breaks from jobs. She completed it while unemployed, living on welfare. In his article Facing The Enemies Within, Jim Rohn declares, “Perseverance is about as important to achievement as gasoline is to driving a car. This also relates to the idea of obsession, which can of course be “bad” or pathological and destructive, but can also fuel achievement. There are a number examples of “obsessed” entrepreneurs in the book The Hypomanic Edge : The Link Between (A Little) Craziness and (A Lot of) Success in America. He cites Van Gogh, Dostoevsky, and Georgia O’Keeffe as examples. Conversations with Millionaires by Mike Litman. One Small Step Can Change Your Life – The Kaizen Way to Success CD program by Robert Maurer.